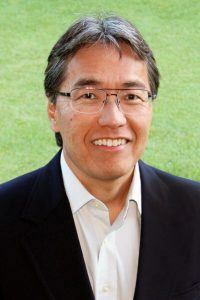 Dr. Mike has been practicing dentistry on Maui with his father Dr. Alan Miyamoto for 30 years. As part of his philosophy to deliver excellence in dentistry and patient care, he has continued to expand his skills and dental knowledge by completing more than 1400 hours of advanced continuing education training. With a long emphasis on cosmetic dentistry, Dr. Mike has enhanced the natural beauty of many of his patient’s smiles using conservative, state-of-the-art procedures. He also does general and family dentistry, treats Temporomandibular Disorders (TMD) and the associated pain using conservative Gneuromuscular (GNM) modalities, and is dedicated to providing his patients with the highest quality of preventive and restorative care. Dr. Mike spends quality time paddleboarding, surfing, diving, fishing, playing acoustic and electric guitars, and traveling together with his family. The distance from the island of Maui to Baltimore is 4800 miles and a 12 hour flight, but this hasn’t stopped three generations of Miyamoto family members from attending the School of Dentistry. Courtney Miyamoto ’18 is a rising Junior at SOD. She is the daughter of Michael Miyamoto ‘87, and granddaughter of Alan Miyamoto ’62. When she heard that her grandfather – who had successfully battled cancer twice since 2007 while still maintaining his private practice in Maui – was diagnosed with cancer for the third time, Courtney decided to produce a GoPro video documenting her life as a 2nd year student as a tribute to him….